At Leisureshopdirect we have got a bit of a name for ourselves as one of the UK's leading supplier of the bits and bobs, the fixtures and components, the caravan and motor-home gear and spares that tourers across the UK require to keep their 'vans in tip-top shape and ready for the road. Here you will find a wide range of caravan taps and caravan tap spares for the repair, maintenance and replacement of your on-board caravan taps. Perhaps you have detected a leak - and this is no insignificant matter, as the battle to keep the 'van watertight from the outside and safe from internal leaks is something that keeps all of us awake at night at one stage or another! Or, you might be involved in a refit of a pre-loved 'van? Maybe you've decided that you are going to give your beloved home-from-home a facelift and the old taps need to go? You've come to the right place! Setting off in your 'van is such a wonderful feeling: freedom and relaxation here we come. Strange, though, how something as small as a dodgy on-board tap can undermine that feel-good factor. It's a good idea, of course, to get the wear and tear on your caravan and motorhome accessories including those issues with your caravan taps sorted over the winter. Without fully functioning caravan taps that ensure no leakage, when the weather plunges to extremes of winter or summer, tourers risk experiencing problems such as frost damage in caravans. But things don't always run smoothly like that, do they? Fret not - if you have identified a caravan tap that needs attention, a vanity tap or kitchen tap which needs replacing and you need to do it fast, you're likely to find the part you require here and we will do our best to deliver it within 48 hours. Whether you want to go shiny modern or choose a more traditional design, you will find a wide range of caravan mixer taps on these pages. Choose from Reich caravan mixer taps, Whale caravan mixer taps or Comet mixer taps, all of which we stock at competitive prices and with the caravan tap spares you'll need to fit them. Some of us tour in smaller spaces, where every aspect of the technology, gadgetry, fixtures and fittings has to fit neatly into far smaller compartments and spaces in increasingly clever ways - which is all part of the fun, of course! If in your search for campervan accessories you are looking for space saving caravan taps and spares, we have those in stock too. For instance we stock a range of folding caravan taps like the compact Smev Single Lever tap with an adjustable arm, ideal for tighter corner sinks in vanity areas and for more compact (but still very beautiful!) kitchen sinks. Or how about the handy Eclipse mixer tap with a pull out shower? 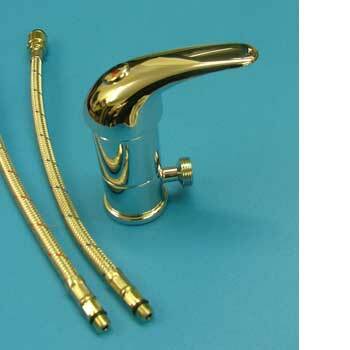 Just like home products, caravan taps and spares achieve different results. Caravanners looking for peace of mind while discovering the beautiful British countryside may, therefore, want to ensure their mobile homes are fitted with useful accessories such as Comet taps, which have a variety of accompaniments for different areas. Those looking for a touch of luxury can opt for the Comet Exclusive mixer caravan tap, which features a short spout and standard control caps. 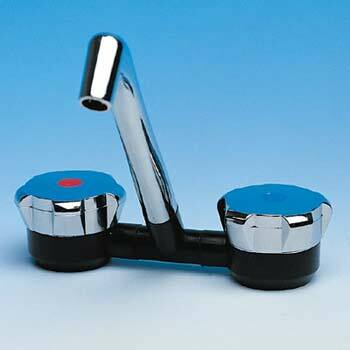 Chrome in colour, the product is part of caravan tap spares, including additions such as the Comet Florenz mixer caravan tap. This caravan tap features a microswitch and tails for water connections and is part of a collection of products including the Comet London Mixer tap, a creation available in black and chrome. 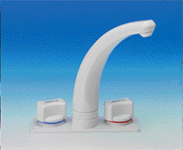 It is also good for small spaces as its height when the spout is folded down is just 40mm. Convenience and practicality can be found in Reich caravan taps and spares which, apart from being of high quality, are well-designed and highly durable. Mobile home owners will be glad to hear that the caravan taps and spares are easy to clean and incorporate a jet regulator aimed at achieving even flow. People looking to save on time and money will find their answer in these taps for caravans, which also feature a microswitch and cartridges that can be changed from the top without having to remove the caravan tap. One of those also featuring a microswitch is the Reich Charisma Mixer caravan tap, which has a single lever tap and a spout that rotates 360-degrees. Contemporary styling with smooth square lines can be found in the Reich Concept E Mixer tap, which also boasts a 360-degree swivelling spout and a microswitch. Options are not restricted to the aforementioned caravan tap spares. Holiday home owners can also invest in Whale caravan taps and spares, motorhomes and boats, which come in a wide variety. One of those worth checking out is the Whale Compact Range, a product particularly suited for a sink where space is at a premium. 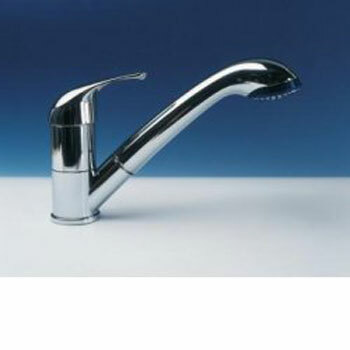 Handy Whale features that are sure to appeal to those searching for taps caravan taps and spares include a modern design that provides total flow control with only 90-degrees of handwheel movement, as well as ceramic valves. The caravan tap's spout can also swivel and fold down, helping people make the best of small spaces. Whale taps are also created from chrome-plated brass and are available in a satin chrome finish, meaning they are likely to appeal to the most discerning tastes. They also boast another useful and functional feature - they can be installed either vertically or horizontally. Designed to be versatile, they can connect with relevant caravan tap accessories, including 12-mm and 15-mm pipework. In order to ensure quality, each of these caravan taps and spares is 100 per cent checked after manufacture. 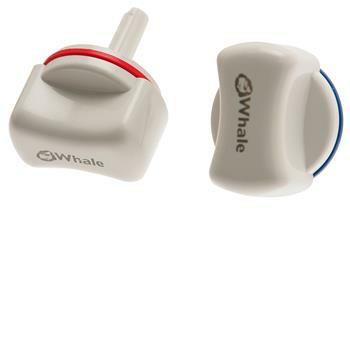 There is also an abundance of Whale Tap Accessories available if your current tap breaks.